When Andrew McCutchen smacked a three-run double to erase an early 6-2 deficit and create a two-run lead on Wednesday in our nation's capital, the 2019 Phillies season more closely resembled a fairy tale than that of a baseball season. The Phillies swept the team that overtook them in humiliating fashion for the NL East title a year ago. They represented gloriously on their first appearance on Sunday Night Baseball in a long time. They pummeled teams with their bats. Bryce Harper hit two mammoth homers in the first series. He returned to his previous home to a symphony of boos, then sent the bitter fans away dissatisfied with a gutty performance and a Ruthian blast. Then, after their ace starter put his team behind by four runs a day later, the Phillies stormed back to take the lead. This season was indeed becoming a fairtyale. But dark stormclouds approached in the sky above the Phillies. Their slugging first baseman made an inexcusable error. Their bullpen coughed up a two-run lead in the eighth. Their high priced reliever failed to record an out and walked three straight batters, the last of which walked in the winning run. 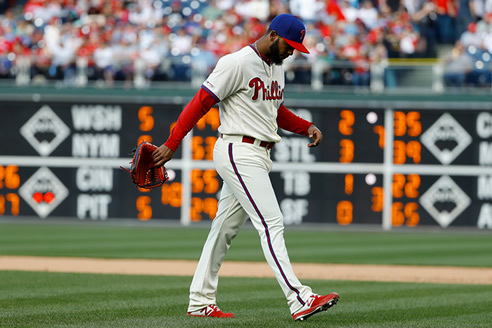 Two games later, their young phenom reliever suffered his second straight rough outing, allowing a three-run homer to push his ERA to 15.43, all but sealing the teams' second loss. Their storyboook season has now become just a story. This from @jaysonst : An insane note from the Elias Sports Bureau: This was the first season the Phillies have started 4-0 since 1915. That 103-year streak without going 4-0 is the longest in the history of baseball. And football. And basketball. And hockey. Seriously. Their peachy keen start was not going to remain hunkey dorey forever. Even the best of teams lose 60 games in a season. This is no longer a dream. It is a baseball season. 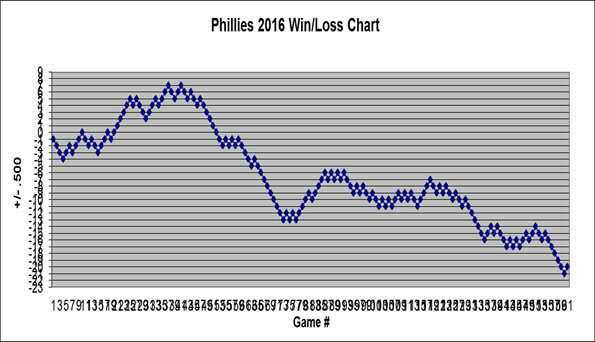 Now that the shine has worn off, the Phils must battle their way towards a hopefull division crown and maybe more. It wasn't going to be easy - two unsavory losses served as painful reminders of that. Destiny alone will not take them to the promised land. They will have to clean up their bullpen, sharpen their defense, and assemble more quality starts from their pitchers. In other words, they have to turn the page and make the next chapters just as good as the first one.